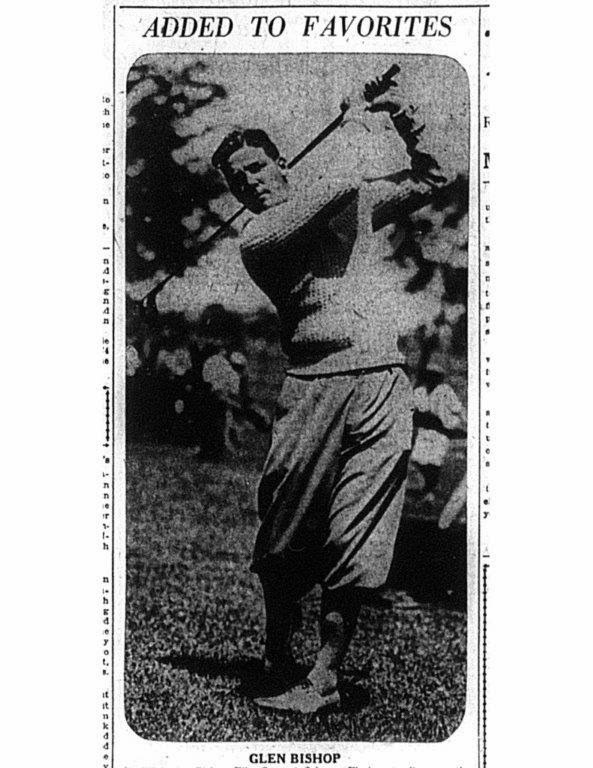 By June, 1931, Wyandot product Denny Shute had certainly made a name for himself on the PGA tour. A player good enough to have won The Los Angeles and Texas Opens obviously had to be reckoned with. But his achievements to date left him a couple of steps below the the likes of Sarazen, Hagen, and Armour. A good performance on the 1931 Ryder Cup's international stage at Scioto would go a long way toward further elevating Denny's status in the game. But first, he had to make the team! That meant posting one of the four best scores in a special qualifier held during Ryder Cup week at Scioto. 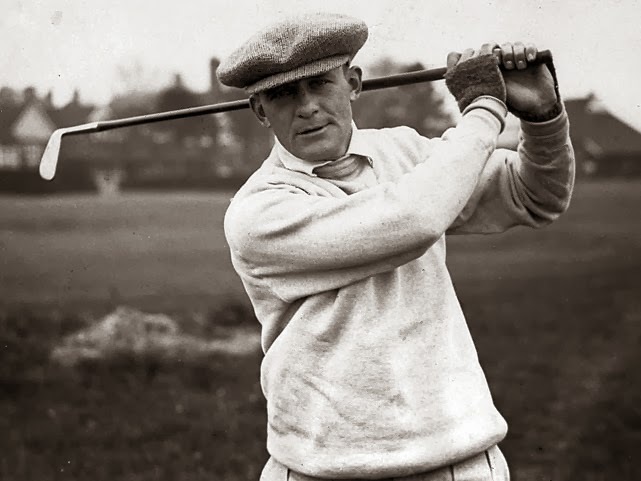 His fellow twelve competitors in the qualifier (picked by a PGA committee) included stars like Craig Wood, Billy Burke, and Olin Dutra, all of whom would win major championships during their careers. 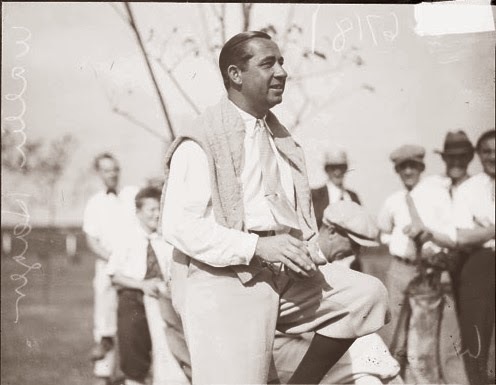 It may surprise golf aficionados to know that in these days of "captain's picks," a special qualifier was held, and that U.S. Captain Walter Hagen would not learn the identities of four of his 1931 team's members until shortly before the start of competition. And that 1931 qualifier proved to be the ultimate grind: 72 holes in two days in 100 degree temperatures! 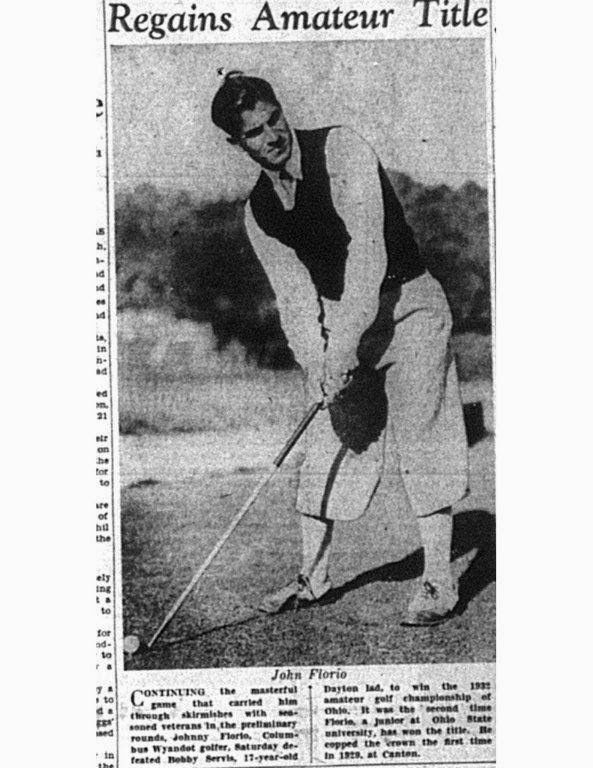 Notwithstanding the heat, most of the players, including Denny Shute, were attired in ties, long-sleeved shirts , and plus-fours! Wiffy Cox, Craig Wood, and Billy Burke claimed three of the berths, but a three-way tie between Denny, Frank Walsh, and Henry Ciuci for the final opening meant more golf for them. Despite the fact that foursome matches loomed on Friday, the PGA brass decreed that Shute, Walsh, and Ciuci would decide things with a further 18 hole playoff on Wednesday. Ciuci faded early in Wednesday's withering cauldron, and picked up on the par 3 17th. Denny birdied that same hole to wrest the lead by one from Walsh. On the 18th green, Walsh stood over a four foot putt to tie Shute and force yet another 18 hole playoff on Thursday. He missed. Frank Walsh had lost the best opportunity he would ever have to play in the Ryder Cup. Denny had made the squad! Things were not going well for the visitors even prior to Friday's foursomes. Three of their best players had been disqualified for trivial reasons. Henry Cotton committed the no-no of failing to sail over with the rest of the team. 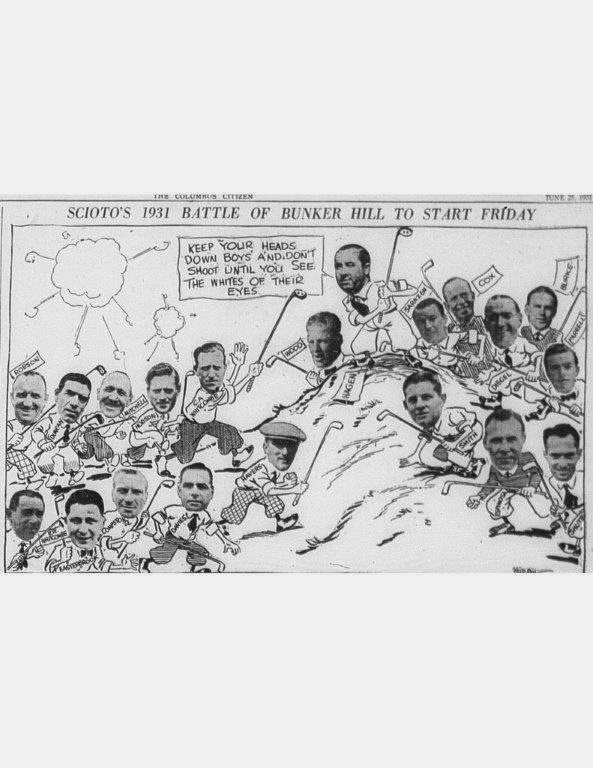 Cotton showed up at Scioto anyway, but was relegated to playing an exhibition match with Bobby Jones. British stalwarts Aubrey Boomer and Percy Allis were also dinged for having golf club affiliations outside GB&I. To make matters worse, the Brits had difficulty coping with Columbus's blistering heat. There was also additional consternation generated by the PGA's decision to disallow the smaller ball approved for play outside the U.S. by the R & A.
Walter Hagen chose to take the exhausted Shute under his wing as his partner for the opening 36 hole foursomes (alternate shot). When Denny confided to the captain that he was having some difficulty with fairway wood shots, Hagen arranged the batting order so that he would be hitting the brassie, spoon, and cleek second shots. Meshing perfectly, the two great match players trounced George Duncan and Arthur Havers 10 and 9. Afterwards, Hagen expressed pleasure with his rookie partner's steady golf given that Denny was making his debut in the pressure cooker of the Ryder Cup. The Citizen's Russ Needham pointed out that these were not idle words from the Haig for the benefit of a hometown boy as "he showed a few minutes later when he announced Shute would be in the lineup for the singles play Saturday and that the player to come out of the lineup was not Shute, or any of the other youngsters, but the veteran Leo Diegel, one of the four best golfers in the United States and present holder of the National P.G.A. championship." Buoyed by the confidence placed in him by Sir Walter, Denny rolled to an 8 and 6 victory in his 36 hole singles match against Bert Hodson. The U.S. took the Cup back stateside by a lopsided margin of 9 to 3. Denny Shute's first Ryder Cup experience, though exhausting, had been most rewarding. He emerged with two blowout victories and a big boost to his prestige. Moreover, any residual Columbus resentment prompted by Denny's move north dissipated in the glow of his success. Billy Burke also won his two matches. Both he and Denny headed to Inverness with momentum. 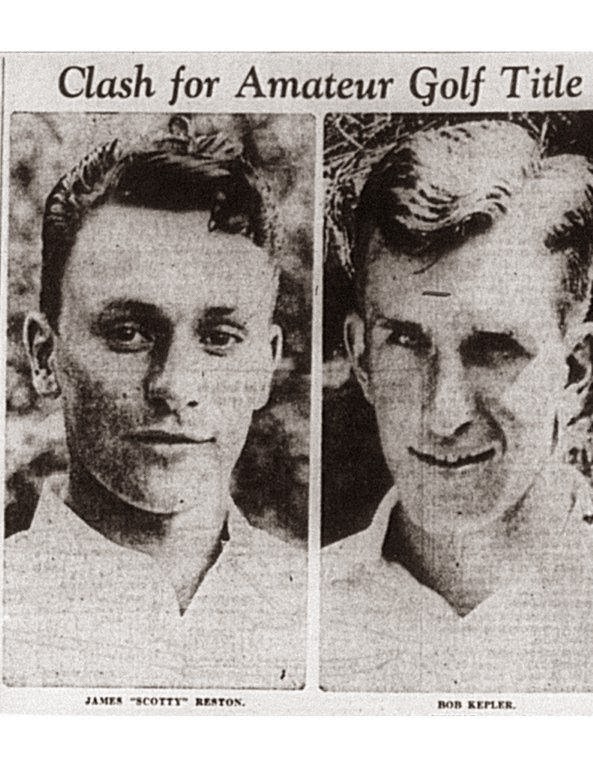 Had Denny Shute complained about being subjected to an inordinately arduous qualifier, he would have received little sympathy from Burke and George Von Elm following their marathon battle at the following week's United States Open. After 72 holes, Burke and Von Elm were deadlocked with scores of 292. The USGA rules then called for a 36 hole playoff. Von Elm, the 1926 U.S. Amateur champion, birdied the last hole of that playoff to force another tie. The tie would be broken by - what else- another 36 hole playoff! Finally Burke nudged ahead and edged Von Elm by one stroke. 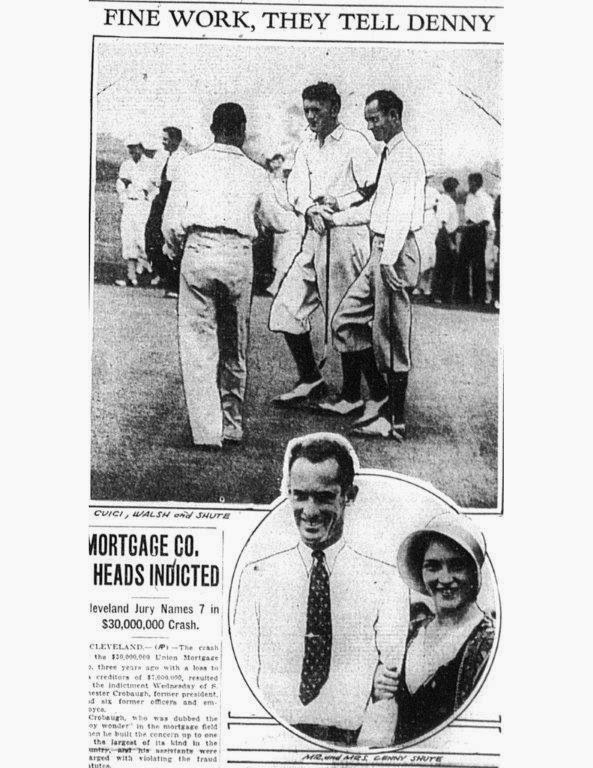 After 144 holes, Billy Burke had finally won what would turn out to be his only major championship. He also became the first player to win the championship using steel-shafted clubs. Shute finished back in the pack at T-25. Even before Von Elm and Burke had concluded their epic playoff, Wyandot was already busy hosting qualifying rounds for golfers attempting to earn their way into the state amateur field. 32 survivors from the qualifier would compete at match play for the James Cox trophy. The intense front-of-the-sports page coverage provided by the Columbus Dispatch, Ohio State Journal, and Columbus Citizen suggests that local interest in the championship rivaled that exhibited for the Ryder Cup. While all the members were excited that this prestigious event had been awarded to Wyandot, some expressed concern the field might shoot embarrassingly low scores give the course's relatively short length of 6393 yards. Members of other clubs would sometimes refer to the course as a "Tom Thumb layout." 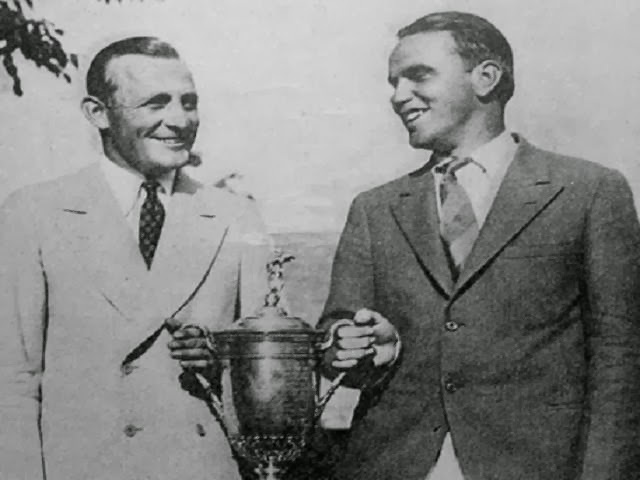 Wyandot's Glen Bishop, the surprise state amateur champion of 1930 tackled this ticklish subject with the Citizen's Russ Needham, and sounded a warning: "There isn't a course in the country , I don't suppose, where care, precision, and variety is as necessary on tee shots as up at Wyandot. Two or three practice rounds on the course will be vitally necessary to get the peculiarities of the course well in mind. Even then a player, unless he stops and thinks each time he climbs up on a tee, is apt to get himself in unexpected trouble." Bishop predicted that "...errors will be frequent and costly because on most courses the drive is just a mechanical swat with the art beginning from the second shot on." The results of the 36 hole qualifier were positively rapturous from the viewpoint of the Wyandot members. The course had proved surprisingly resistant to low scoring, A score of 164 had been good enough for match play- the highest qualifying total in memory! Scribe Needham got a kick out of the livid reactions of frustrated players who missed out. "Alibis flew around thicker than flies on a cherry pie. And the Wyandot members, congregated in one section of the locker room, listened and laughed. Wyandot may be short, but it surely isn't so sweet, except for the player who really hits his shots." Not surprisingly, the medalist with a score of 143 was Wyandot's own Johnny Florio. Needham was already labeling the tournament as "more or less of a 'Johnny Florio state amateur'. " By conclusion of Tuesday's play he had already won three awards: medalist honors, the driving contest (average of 265 yards on three blasts), and a shared prize with three other Wyandot members for having the best quartet of qualifying scores of any quartet of members hailing from the same club. But best of all, an astounding seven Wyandot members (22% of the competitors) would be taking part in match play. In addition to Johnny and Glen Bishop, other Wyandot qualifiers included Allen Tracewell, Norman Seidensticker, Frank Lewis, Austin Shannon, and club champion Joe Outhwaite. 19 of the 32 qualifiers were affiliated with Columbus courses. The match play qualifiers were required to survive two matches on Wednesday. Florio won both of his games handily with 5 and 4 victories. Lewis, Bishop, and Seidensticker made it to the afternoon round of 16. But then Bishop was dethroned in extra holes. Seidensticker scored an upset win over former Columbus District champion Raleigh Lee. Lewis, however, was annihilated by Florio's Ohio State teammate Bob Kepler 8 and 7. If there was a second betting favorite behind Johnny, it would have been his teammate Kepler. Still in excellent form after making it to the finals of the NCAA tournament as well as a victory in the Columbus District tournament, he was poised to make a strong challenge. It is possible that Johnny may have been looking ahead when he faced fellow member Norman Seidensticker in the quarterfinals. Norman, a former Notre Dame golf team captain, and Columbus District medalist, gave Florio an unexpected scare. The match lasted to 18 with Florio escaping unscathed with a 1 up triumph. Florio would then face James "Scotty" Reston of Dayton in the semis. Reston, had just been named the team captain of the golf team at the University of Illinois where he was studying journalism. 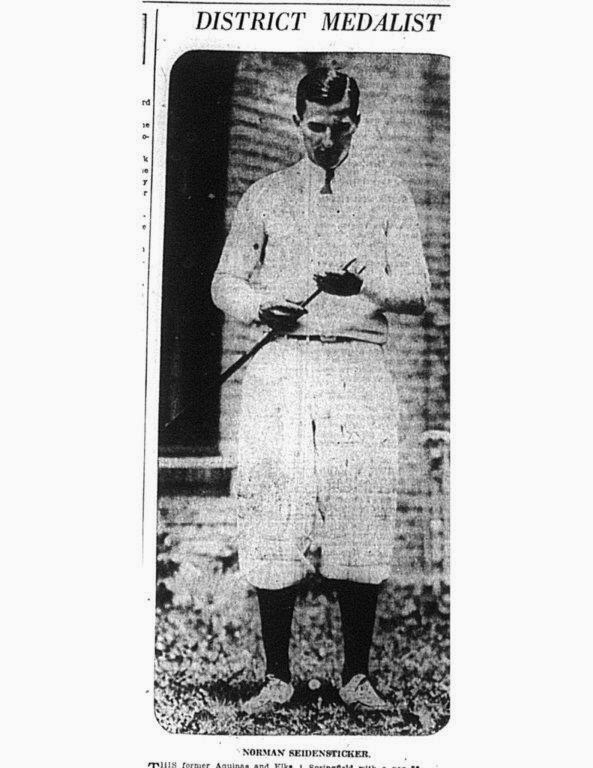 Scotty demonstrated early aptitude for golf, and won Ohio's 1927 High School championship. He was spending his summer employed as the starter at another Clintonville course, Indian Springs. Coincidentally, Reston knew well the namesake for the championship trophy, newspaper publisher and Ohio Governor James Cox, having caddied many rounds for him at the Dayton Country Club. Johnny had already beaten Reston in the NCAA tournament, so it was no surprise when Florio quickly gained the upper hand in their semifinal match. He held a two up lead after 6 holes after canning a birdie 4. But Reston's spectacular play on Wyandot's back nine turned the match around. By the time the players reached the 16th, Florio was one down. When Johnny's tying 6 footer stayed out, Reston was dormie. After the 17th was halved with pars, Johnny had been eliminated 2 and 1. Kepler advanced to the final with a taut 1 up victory over Arlington's Theron Green. Kepler's brilliant second shot to the green on the final hole clinched the hole and the match. The 36 hole final pitted two Western Conference (forerunner to the Big 10) foes and Dayton natives. They had met twice before in high school and Dayton district play splitting the two matches. Kepler got off to a decidedly inauspicious start, badly hooking his tee shot on the first hole. The ball bounced off a tree and into the ravine. After 7 holes, Reston enjoyed a 3 up advantage. But then Reston lost the par 3 8th to Kepler's par. Bob capitalized on the opening with birdies on 10 and 11 to square the match. By lunch, he enjoyed a one up lead. By the afternoon's 7th hole, Reston had fallen to 3 down, but Kepler faltered with bogies on 8 and 9. Scotty was only one hole down at the turn. But, as Glen Bishop had prognosticated, poor tee shots were the difference in the match. Two hooked tee shots on 10 and 12 cost Reston two holes he could ill afford to lose. His badly topped brassie second shot on 15 gutted any lingering hope of recovery. Kepler had won the match and the championship 4 and 3. Despite the fact that its string of Ohio Amateur champions had been snapped, it had been a superlative week for Wyandot and its members. The course had proved to be a great test of golf. Players who consistently hit accurate tee shots scored well. But foolishly smashing the driver when a cleek would have been the more prudent choice caused the scores of many of Ohio's best to balloon. Russ Needham summed up by saying, "it's a tricky course where scores may be either very low or amazingly high. But it abounds in interesting holes. And its scenery is delightful." What happened to the two finalists, Bob Kepler and Scotty Reston? Their lives traveled down very different paths. Kepler became the golf coach at Ohio State University. He enjoyed a long tenure there (only one year less than that of Woody Hayes) from 1938 to 1965. He coached the team to the 1945 NCAA championship, and mentored great players like Johnny Lorms, Tom Nieporte (both individual NCAA champions) and Tom Weiskopf. . But he will forever be remembered as Jack Nicklaus's college coach. Under Kepler's guidance, Jack twice won the NCAA championship. Jack also gives credit to Kepler for teaching him how to fish. But as we have seen, Kepler could play a little golf too! The other finalist capitalized on his association with James Cox. After college, he was hired by the Dayton Daily News, a Cox-owned newspaper. After a brief sojourn in public relations with Ohio State and the Cincinnati Reds, Scotty landed a job with the Associated Press in New York City. From 1937 to 1939, he was stationed in London covering the Nazi blitz of that city for AP. After a stellar performance in that post, Reston joined the New York Times and was transferred to the paper's Washington bureau. Ultimately he was given his own column. Before he was finished, he would interview eight presidents. He received two Pulitzer Prizes for journalism. James Reston became the most influential journalist of his era. Next Chapter 12: "End of a Great Elk"